The Nurses Choice Luncheon – an annual celebration of nursing! The Nurses Choice Luncheon is an annual fundraiser and celebration of nursing. With a focus on education, scholarship and research, the luncheon recognizes noteworthy student nurses and nurse researchers, as well as nursing’s allies with Nurses Choice Awards. Themed Laughter is the Best Medicine, the 2019 luncheon features motivational speaker and humorist Diana Jordan. The event will also consist of a pre-luncheon networking session, poster presentations for which nurses can earn contact hours, and silent auction with lots of awesome items! Registration is now open for the Nurses Choice Luncheon – an event guaranteed to leave you laughing and inspired. 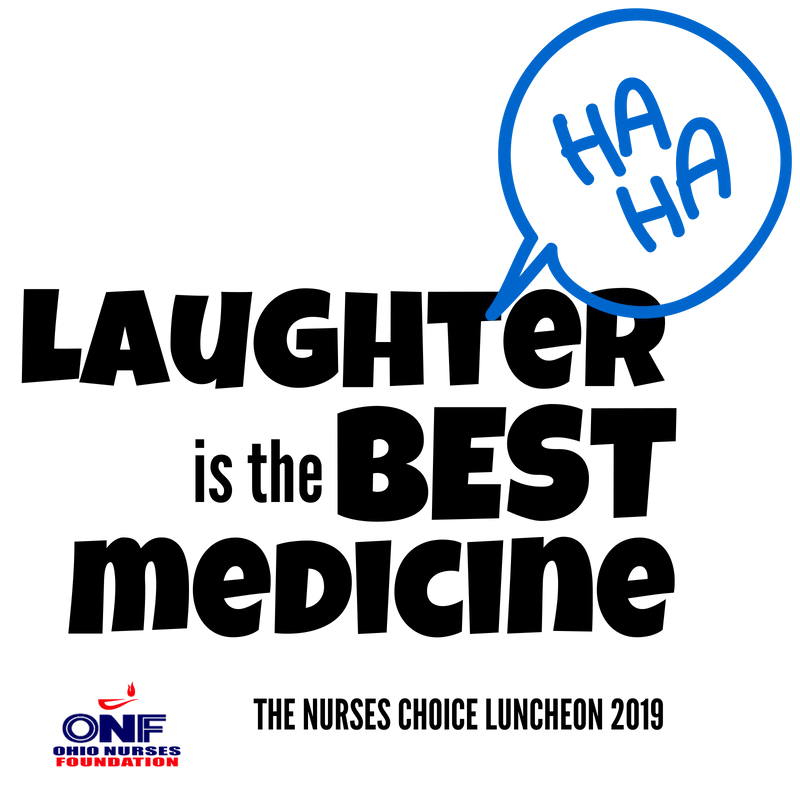 Featuring humorist and motivational speaker, Diana Jordan, and amazing student nurses and nurse researchers, the luncheon is the main fundraiser for the Ohio Nurses Foundation. Registration: $50, Covers the cost of the luncheon hors d’oeuvres and meal. Scholarship, Grant Winner and Award winners: Contact Michelle at mdonovan@ohnurses.org to register you and a guest for free. Register additional guests using the link above. Show your support for the future of nursing through education and research with a luncheon sponsorship. Support from our generous sponsors are what make this event possible. *All sponsors: Please fill out this form in addition to submitting your online sponsorship. “FIND THE FUNNY IN YOUR LIFE AND WORK. Having entertained over a million people live and on television, Cancer survivor Diana Jordan came to realize that by making people laugh, she could help them deal with life’s stresses, motivate them, and teach them what she has learned over the past 25 years–how great laughter is in nourishing yourself and changing your outlook on life. Diana has toured the country many times over as an extremely successful stand-up comedian and author. She is also a cancer survivor and speaks about her journey to many cancer organizations and events nationwide. 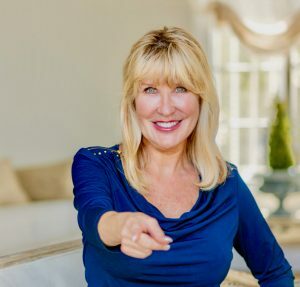 As a funny motivational speaker in Diana’s keynote speaker address, messages ring loud and true about how you can make the choice to be happy, find the funny in your life, take responsibility for your own health, and bust stress. Just these four things can make a happier, healthier, and more productive you! Diana has been nominated by the American Comedy Awards as a Top Five Female Comedian in the country. She has been seen on Showtime, Showtime Specials, HBO, ComedyCentral, VH1, and more. Diana has also been featured on Oprah for her talent as a comedian and writer. Her hilarious, best-selling book called, A Wife’s Little Instruction Book, Your Survival Guide To Marriage Without Bloodshed! has sold over 500,000 copies. Being a funny motivational speaker was a natural transition for Diana. She realized her gift and talent for comedy was much needed around the country. A world traveler, Diana has lived in Greece, Hawaii, Chicago, Atlanta, Las Vegas, and even ‘starved’ while working as a waitress in New York to get a job on Broadway. She never gives up! For the last two decades, Diana has headlined America’s top comedy clubs and entertained our troops overseas. For over a year she performed her widely popular one-woman-show, “Female, Fertile, and Frustrated!” which she wrote, produced, directed, and starred in at the world famous Ice House Comedy Club in Pasadena, California. “Female, Fertile, and Frustrated!” is still the longest running one person show in the forty year history of The Ice House. No longer FERTILE, Diana makes light of getting older and using humor to cope with being a breast cancer survivor. Diana studied improv comedy in “off the wall” classes with classmate Robin Williams. She has been under contract to CBS Network and Twentieth Century Fox for her self-written sitcom and is a member of SAG, AFTRA, The National Speakers Association, and The Writers Guild of America. As a talented comedian and singer, she has opened in concert for major stars at The Kennedy Center, Garden State Arts Center, and Radio City Music Hall. She has also been the Master of Ceremonies for gala events with prestigious speakers such as Former Secretary of State, General Colin Powell and Yolanda King, daughter of Dr. Martin Luther King.